I love lighting candles in the autumn and find myself lighting them every night. Although the family do worry about me doing this due to how much of a liability I am, honestly I think they just expect me to burn the house down or burn myself. 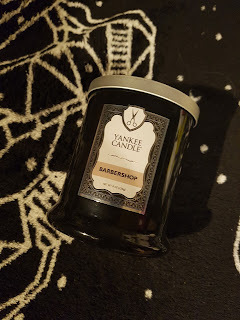 My go to candle is currently this Yankee Candle Barbershop one. 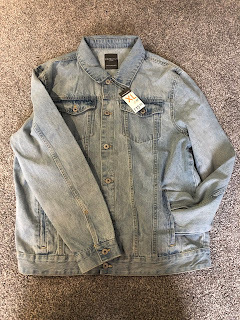 I got this for £14.00 a while back and instantly fell in love. The thing I love most about getting my hair done at the barbers is the smell. All the different styling products and shampoos, I don't know what it is but I love it. This candle really does capture the smell and I can't get enough. 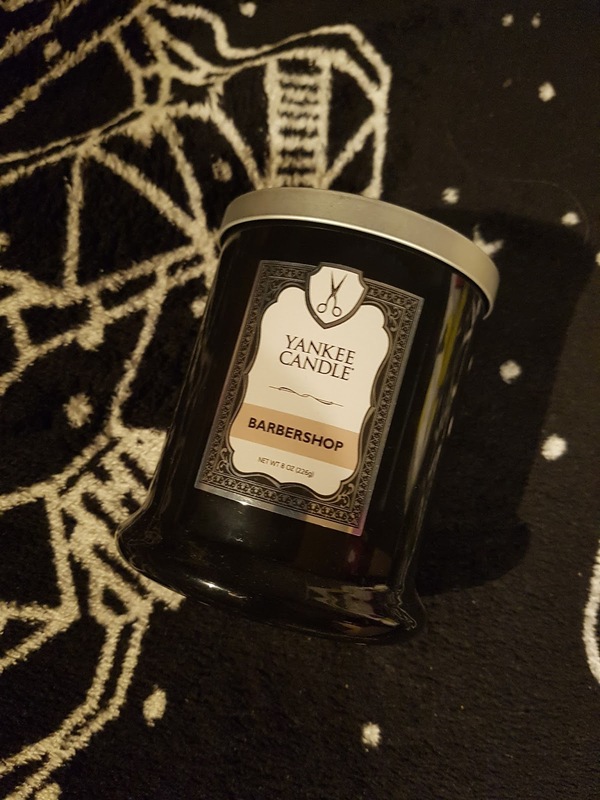 With notes of eucalyptus, lavender and amber it smells gorgeous and the smell really does help you unwind and chill out, perfect after those long days at work. The black and silver tub also fits perfectly in my black and grey room with its basic design. I believe I have been burning it for a little over a month now and it is still going strong, I will honestly be gutted if I can't find this one again. I am hoping to get the full collection of these candles as they are by far some of my favourites.